The mountain that called to me. In the course of my career, I’ve been inspired many times to create, almost always by looking at an aspect of history and wondering why. Where it gets interesting is when what I’ve created inspires others in something of a chain reaction. Knowing that the wreckage of a DC-3 still littered a remote Nevada mountainside, that you can see the site of the crash from every part of Las Vegas, had been pulling me toward that spot for years. Finally I yielded to the siren’s call and got the shock of my life when after a four-hour ascent, 22 dead people whispered in my ear. Suddenly I was inspired to tell many stories instead of just that of Carole Lombard—and I think it was these souls who had been calling to me all along. I guess inspiration is a baton that’s passed from person to person. Reading Fireball served as inspiration for Las Vegas-based artist Kim Reale. First, I have to show you an incredible photograph—Kim displaying superpowers during her ice-skating career. 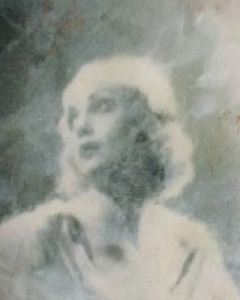 The last time I saw her, she surprised me with a piece of giclée art of a most ethereal Carole Lombard that now hangs on my wall. “The book filled me with such empathy and compassion, I created a painting from it,” said Kim. “I felt Carole’s spirit rising from the horrific plane crash ascending to the heavens above with a dreamlike sadness of what might have been.” I’m pretty sure that prints of this painting–the word ‘haunting’ comes to mind–are available through Kim’s website. 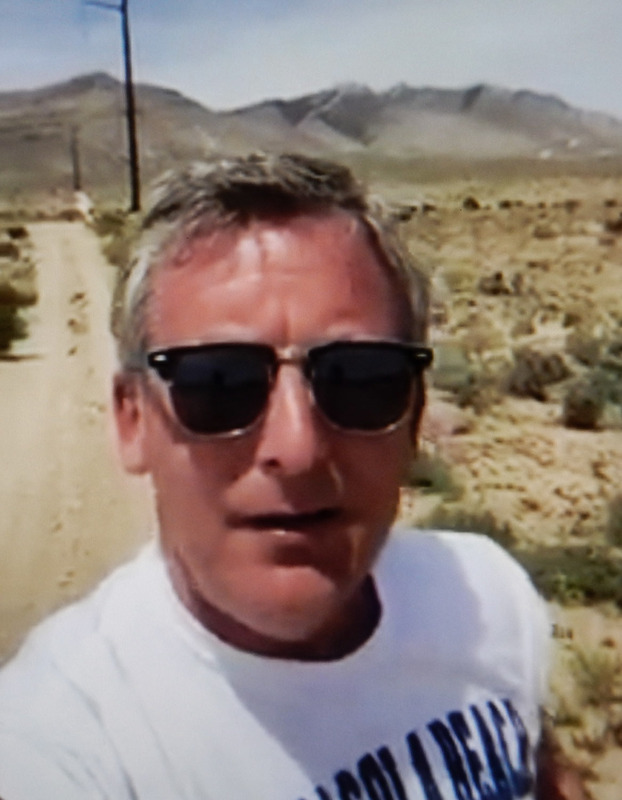 Brian Anderson in the Nevada desert and about to climb to the crash site in April 2017. In the foreground: pilot Daniel McCracken. In the background: the wild blue yonder. Who will take the baton next, for instance finding inspiration in a flower-shrouded mountainside, or in Brian’s research finds about Carole Lombard (thanks to his work, the entire speech Carole gave in Indianapolis can be found in the trade paperback edition of Fireball)? Who will stare at Kim’s painting of Carole and write a song or another book? 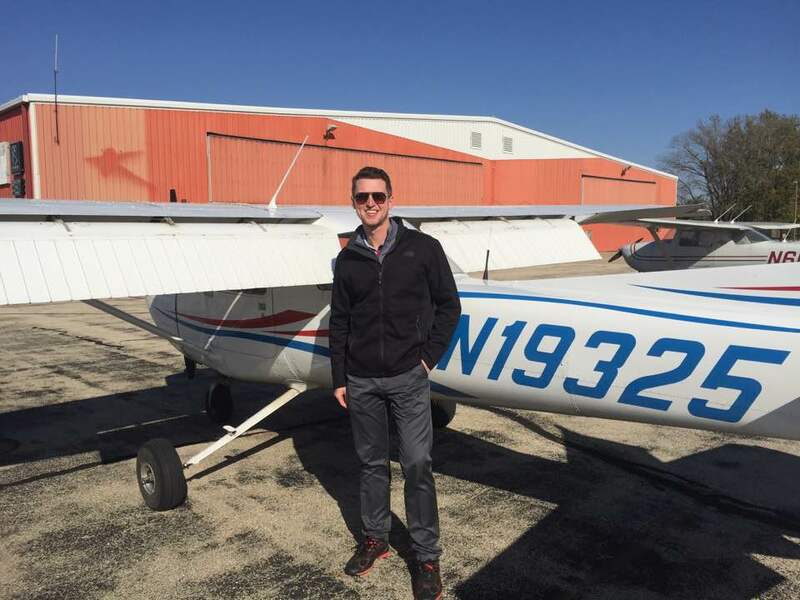 Where will Dan’s career as a pilot take him, and who will he inspire to become a pilot in the future? All I know is, once the energy begins to push in a forward direction, the chain reactions seem to continue, and I can’t wait to find what comes next in the Lombard and Stewart stories. 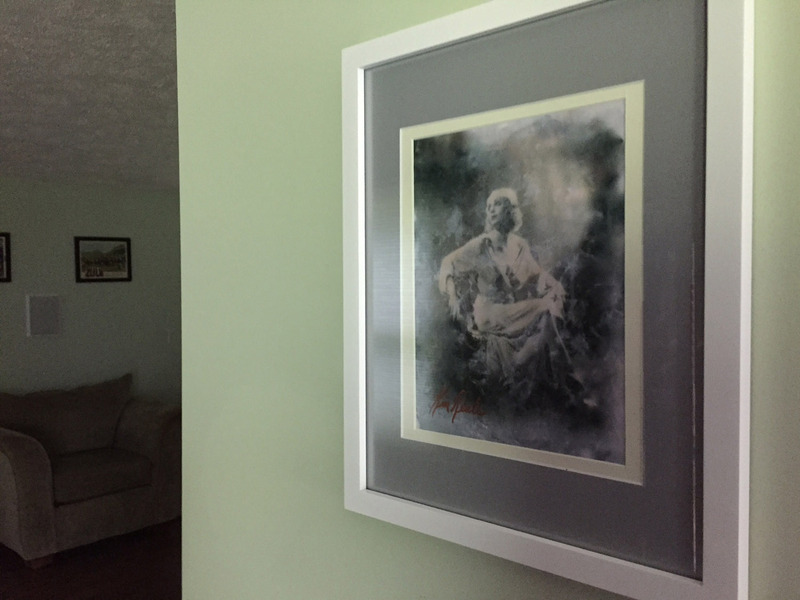 Prominent spot for a precious piece of art.